Manuscript submission must be performed via an electronic submission system. Journal guarantees a quick peer-review process which will be finished within a maximum of two month, followed by a period for proof-corrections and 'online first' (before print) publication which will not exceed one additional month. -Original Articles: full length experimental or clinical research articles providing innovative knowledge to the biomedical literature. -Brief Reports (Short Communications): short reports on new results of special interest which not exceed 4 printed pages (approx. 1500 words). -Review Articles: "Mini reviews", "Literature reviews" or "Meta analyses" gathering information on a specialized field and written by experienced authors are welcome as both solicited and unsolicited. -Hypotheses: articles presenting untested original hypotheses backed up solely by a survey of previously published results rather than any new evidence. -Editorials: invited comments analyzing the outcome and emphasizing the importance of an article in the same issue of the Journal in which they appear. -Commentary Letters (Letters to the Editor): responses to articles published in previous issues of Journal reflecting a basis of scientific discussion among qualified academicians. Copyright of all material is held by the Journal. The editors, editorial board, sponsoring organizations, and publisher do not accept responsibility for the statements expressed by authors in their contributions. Manuscripts submitted for publication must contain a statement to the effect that all studies have been approved by the appropriate ethics committee and have therefore been performed in accordance with the ethical standards laid down in the 1964 Declaration of Helsinki. It should also be stated clearly in the text that all persons gave their informed consent prior to their inclusion in the study. Details that might disclose the identity of the subjects under study should be omitted. Submission of a manuscript implies that the work has not been published before, that it is not under consideration for publication elsewhere, that its publication has been approved by all co-authors as well as by the responsible authorities at the institute where the work has been carried out. For the declaration of these details the publishers 'Author agreement' form have to be downloaded, filled out and then submitted together with the manuscript. The publisher will not be held legally responsible if there should be any claims for compensation. Authors wishing to include figures, tables, or text passages that have already been published elsewhere are required to obtain permission from the copyright owner(s) and to include evidence that such permission has been granted when submitting their papers. Any material received without such evidence will be assumed to be originated from the authors. Conflicts of Interest; authors must indicate whether or not they have a financial relationship with the organization that sponsored the research. This note should be added in a separate section before the reference list. If no conflict exists, authors should state: The authors declare that they have no conflict of interest. Manuscripts have to be submitted online. Electronic submission substantially shortens the time for editorial and reviewing processes. Title Page: the title page should include a concise and informative name for the article accompanied by a short title to used as running head, full name(s) and affiliations of all author(s) and standard mailing plus e-mail addresses, telephone and fax numbers of the corresponding author(s). Abstract: following the title page, a summary of the entire article should be outlined in subsections as follows; a statement of the work's purpose in 'objective', followed by a brief description of the study's design in 'methods' and a clear declaration of the 'results', and finally, a concise presentation of the 'conclusions' have to be given. For review articles, the abstract should be separated into 2 to 4 paragraphs including an introductory viewpoint, information and discussion around the main theme and final considerations, without specifically named subheadings. The abstract should not contain any undefined abbreviations or unspecified references and should not exceed 300 words. Keywords: 3 to 6 keywords have to be used for indexing purposes. The keywords may be placed on the title page or under the abstract. Text formatting: manuscripts should be submitted in MS Word format. The authors are suggested to use double spaced 12-point Times New Roman letters with 2.5 cm margins on A4 pages (or 1 inch margins on Letter sheets). Beginning with the title page, please use the automatic page numbering function to number the pages and do not use field functions. Use tab stops or other commands for indents, not the space bar. Use the table function, not spreadsheets, to make tables. Abbreviations should be defined at first mention and used consistently thereafter. If the article includes an excessive number of abbreviations, the authors should additionally add a list for all abbreviations used. Generic names of drugs and chemicals are preferred; if trade names are used, the generic name should be given at least at first mention. In so for as possible, authors should use systematic names similar to those used by Chemical Abstract Service or IUPAC. The text must be sectioned and ordered as 'Introduction', '(Materials and) Methods', 'Results', 'Discussion', 'Acknowledgments' (if any) and 'References'. A gathered 'Results and Discussion' section should be avoided. Each section should begin on a separate page. The discussion should end with one or more concluding paragraphs without a separate heading. Acknowledgments of people, grants, funds, etc should be placed in a separate section before the reference list. The names of funding organizations should be written in full. Reference citing and styling: please cite references with Arabic numbers in squared parentheses and list them by the order in which they appear in the text. The list of references should only include works that are cited in the text and that have been published or accepted for publication. Personal communications and unpublished works should only be mentioned in the text. All authors names (without et al) of the cited work have to listed in references. -Journal article; Santoni G, Morelli MB, Santoni M, Nabissi M. New deals on the transcriptional and post-transcriptional regulation of TRP channel target genes during the angiogenesis of glioma. J Invest Biochem 2011; 1:221-34. 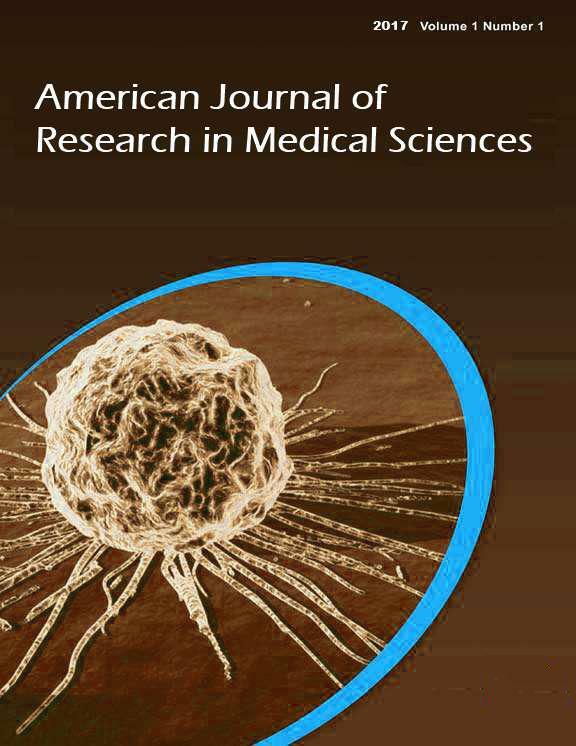 -Article by DOI (digital object identifier); Yuen HK, Westwater C, DeGarmo J, Bandyopadhyay D. Immediate effect of xylitol chewing gum and mouth rinse on salivary levels of mutans streptococci in adults with systemic sclerosis: a pilot study. J Invest Biochem 2011; doi:10.5455/jib.221111.br.009. -Book; Bocci V. Retinal degenerative disorders. In: Ozone. A new medical drug. 2nd edition, Springer, Dordrecht, Netherlands, pp 133–145, 2011. Always use the standard abbreviation of a journal's name according to the ISSN list of title word abbreviations; see http://www.issn.org/2-22660-LTWA.php. -Book chapter; Barry M, Meigs JB. The natural history of benign prostatic hyperplasia. In: Lepor H (ed) Prostatic Diseases, Saunders, Philadelphia, pp 106-115, 2000. -Online document; The inside story: a guide to indoor air quality. In: U.S. EPA/Office of Air and Radiation Available via http://www.epa.gov/iaq/pubs/insidestory.html (Accessed 18 December 2011). -Dissertation; Oter S. Assessment of lipid peroxidation and antioxidant enzymes to determine oxidant stress in rat lung induced by hyperbaric oxygen treatment at different doses and intervals. Dissertation, Gulhane Military Medical Academy, Ankara, Turkey, 1998. Tables: all tables are to be numbered using Arabic numerals and to be placed after references. Tables should always be cited in text in consecutive numerical order. For each table, please supply a table caption explaining the components of the table. Any previously published material has to be identified by giving the original source in the form of a reference at the end of the table caption. Figures: figures must be submitted, in the form of TIFF or JPG (JPEG) files and with a minimum resolution of 600 dpi, separately. Please do not embed the figures in the word document. The figures will automatically be incorporated into the final pdf document by the online manuscript tracking system. Legends for the figures have to be placed at the end of the main document after tables. Identify previously published material by giving the original source in the form of a reference citation at the end of the figure legend. All figures are to be numbered using Arabic numerals. Figures should always be cited in text in consecutive numerical order. Cite your figure files with "Fig" and the figure number (e.g., Fig.1). Figure parts should be denoted by lowercase letters (a, b, c, etc). Color figures are free of charge for online publication, but if they wish to have them published in the printed journal the expenses have to be paid by the authors.